Golf is a game of inches, so knowing the right distance is imperative. Golf is a game of inches, so knowing the right distance is imperative. 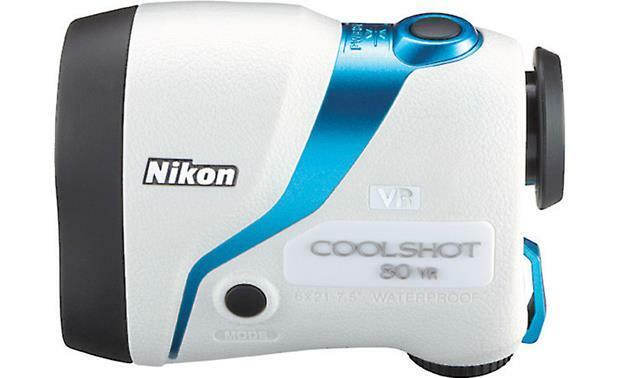 Nikon's COOLSHOT 80 VR laser rangefinder features Nikon's impressive Vibration Reduction technology, which all but eliminates inaccurate distance readings that can come from hand movements. You'll have pinpoint accuracy that's targeted on the flag so you can choose your next shot with confidence. Nikon's Vibration Reduction function is always engaged when you're using the COOLSHOT 80 VR, so you'll always have the benefit of a reliably stable image reading. 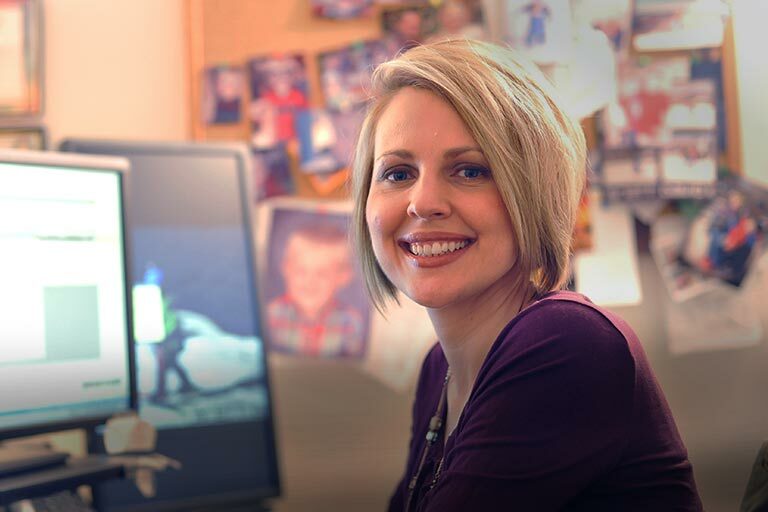 The irradiated laser aligns at the same time as the image, for fast, accurate results. You'll get actual distances within a half-second, and you can get single or continuous measurements for up to 8 seconds. The COOLSHOT 80 VR's lens uses a multilayer coating to ensure bright, clear images for up to 1,000 yards, while Nikon's First Target Priority Mode quickly finds your target when viewing the course against a wooded background. Nikon's LOCKED ON technology gives you the distance to the closest subject, which is handy when looking at a flag against a wooded background. You'll see a "LOCKED ON" image in the viewfinder as you're aiming, letting you know the distance shown is for the flag rather than the woods in the distance behind it. The fog- and rain-proof COOLSHOT 80 VR includes a replaceable lithium CR2 battery. 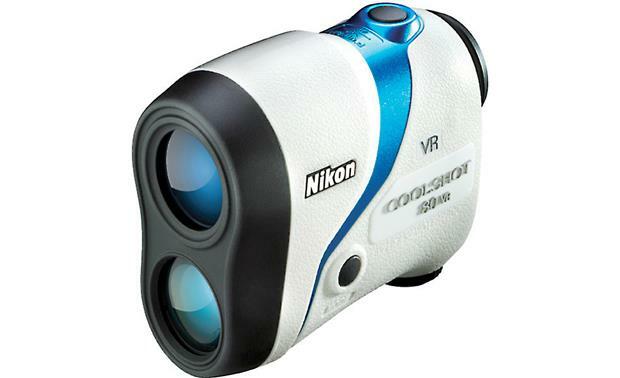 Overview: The Nikon Coolshot 80 VR is the world's first laser rangefinder with Vibration Reduction technology for blur-free and accurate distance measurements up to 1000 yards. The unit is compact and lightweight, with a durable rainproof finish to give it a non-slip grip. 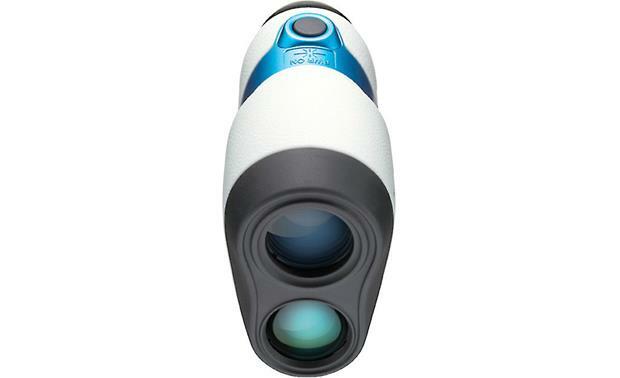 It employs a 6x monocular optical system in order to view and aim at the target. The Coolshot 80 VR is powered by a CR2 Lithium battery (included), and comes with a handy storage case that can be worn on the belt or attached to your bag. The Coolshot 80 VR is USGA-approved, and is allowed for use in tournament play. One Button Operation: The Coolshot 80 VR laser rangefinder gives you fast and simple measurements when you press the top-mounted power button. The unit emits invisible, eye-safe infrared energy pulses (EN/IEC Class 1M Laser) that reflect off of the selected target back to its optical receiver. The distance is instantly calculated and displayed on an internal LCD panel for approximately 8 seconds. The unit has First Target Priority, which displays the distance to the nearest target among multiple results obtained with a single measurement. 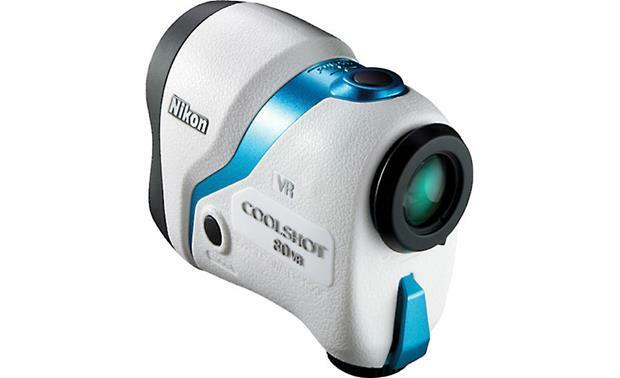 Vibration Reduction (VR): The Coolshot 80 VR utilizes Nikon's Optical Vibration Reduction technology to reduce vibrations caused by hand movement by approximately 80%. Inadvertent hand movements can be caused by cold, wind, physical exertion, or nerves. Vibration Reduction stabilizes the view of your target, and simultaneously aligns the image with the activated laser beam. This gives you faster, more accurate distance measurements so you can more quickly prepare for your next shot. HYPER READ: The Coolshot 80 VR is equipped with HYPER READ technology, which delivers extremely quick measurements, regardless of the distance. This allows you to get quick readings to various points on your approach. Distance readings up to 700 yards/meters are accurate to +/-0.75 yds/m, while readings over 700 yards/meters are accurate to +/-1.25 yds/m. 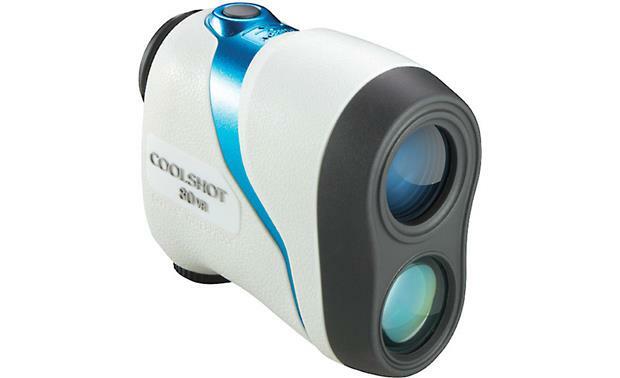 Eye Relief: The Coolshot 80 VR's eyepiece provides a long 18mm eye relief for easy viewing. Distance Measurements: Distances from 8 to 1000 yards are measured in 0.5-yard increments. You can switch the units of measurement from yards to meters by pressing the side-mounted Mode button. 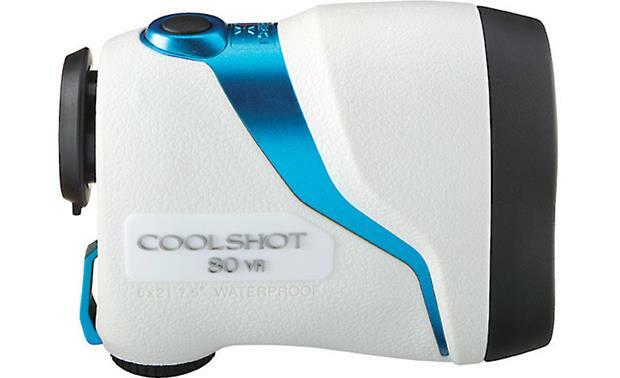 Weatherproof Design: The Coolshot 80 VR has a weatherproof design so you can use it in wet conditions. It has an IPX4 waterproof rating (up to 1 meter for 10 minutes). It is also fogproof. Power Requirements: The Coolshot 80 VR operates on a single 3-volt CR-2 Lithium battery (included). Battery status is displayed in the viewfinder during normal operations. A new CR-2 battery has enough energy to perform continuous measurements approximately 3300 times. Dimensions: Width 1.907", Height 2.962", Depth 3.873"